Our window cleaning company in Gilbert, Arizona separates ourselves from our competition by paying attention to our customers most basic window cleaning needs. AZ Window Cleaners understands, as consumers, and home owners ourselves, we care about the very same things that you do. Wearing shoe covers equates to less dirt in your home, eliminates scratches on your hardwood floors and reduces the chance of carpet stains. It’s just one of the many ways AZ Window Cleaners communicate how important your home is to us. 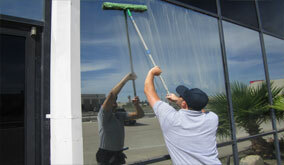 And just another reason why we are Gilbert, Arizona's first choice for window cleaning services. One of the most unique things about using AZ Window Cleaners to clean your Gilbert property is our 48 hour rain warranty. 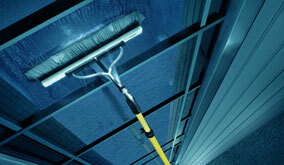 Rain alone will not mess up your newly cleaned windows. It’s the airborne dirt that gets mixed with the rain water on your windows that makes your windows dirty. At AZ Window Cleaners, we want you to feel good about the money you spend to have your windows cleaned. So, if it rains within 48 hours after we have cleaned your windows, AZ Window Cleaners will be happy to come back and touch up any affected windows free of charge. This means you can get your windows cleaned during the Gilbertmonsoon season and still feel okay about spending the money. Call today for a free quote!